WHEN LILACS LAST IN THE DOORYARD BLOOMED……………………………….. Recently I published a post showing photographs of flowers around the yard . Ada wondered about the lilacs . Where were the lilacs ? I’ve managed to propagate a few more plants . So , there you have it . Maybe you should be in southern California . Things grow . Here are some of the yard blooms at the end of April ( despite the drought ). Day-to-day substitute teachers have a tough row to hoe . I’ve done my share of it . Between jobs at one point , I subbed for an entire year , mostly with Glendale School District . I’ve met a few people who substitute teach for a living . That would be hell . So , once upon a time , long , long ago , I decided that it would be a good idea to leave a quarter for the sub whenever I was out , with a friendly note . ” Buy yourself a coffee ” it said . At that time the cafeteria coffee was $ .25 . Well , it wasn’t much , a token kindness I thought , a welcoming gesture . I wasn’t out from school much , and I never gave much thought to the quarter left for the substitute —– sorry , the ” guest teacher ” . One day I returned after an absence and on my desk was a note . Usually the guest teachers would leave a note about how the day went and what was or was not accomplished . This note, however , spoke only about the twenty-five cents ( if , indeed , notes are able to speak —- you know what I mean , though ) . Angry note . Outraged note . Enraged guest teacher . ” I can afford my own coffee ! ” the person had scrawled . The quarter was taped to the note . Must have been an especially tough day with my classes . Middle School ; what can you do ! I “revisited” the whole idea about leaving a quarter for coffee. It could be interpreted as an insult , a put-down , a patronizing action. Of course , this particular sub may, on the other hand , have been a nut case . But , I abandoned my little welcoming gesture of leaving a quarter . I decided that “Welcome!” and ” Good Luck !” on the top of the lesson plan would have to be enough . What do they say : Let no good deed go unpunished ? 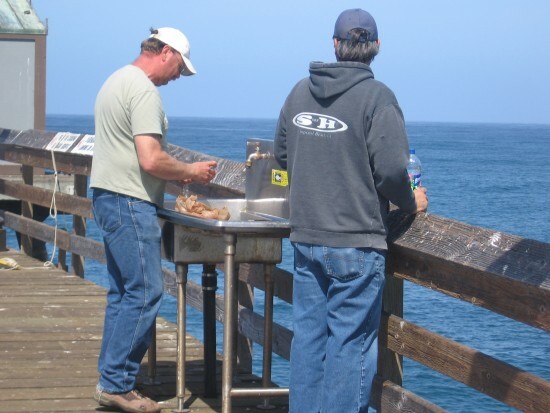 Some cool pics of the Imperial Beach pier. Another San Diego tour from Cool San Diego Sights . Abstract surfboards welcome people to Imperial Beach pier. 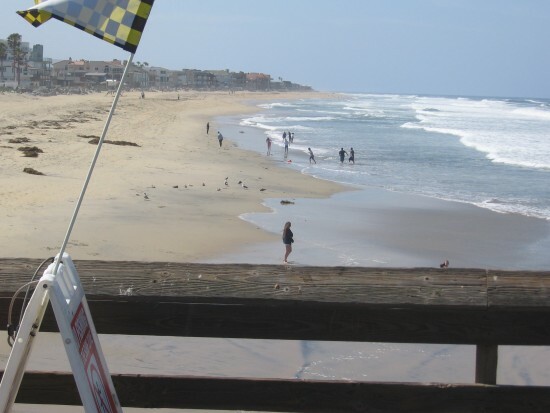 Imperial Beach lies south of downtown San Diego, at the extreme southwest corner of the continental United States. 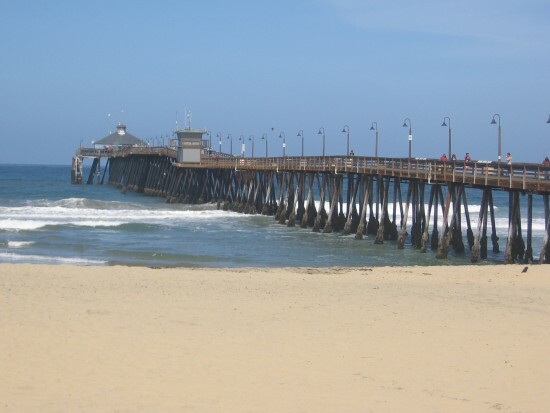 The Imperial Beach pier is just a few miles from Mexico. This beach community is a perfect example of laid-back southern California, mostly just locals kicking back, a smattering of tourists, and a good vibe all around. The days are sunny and people are friendly. 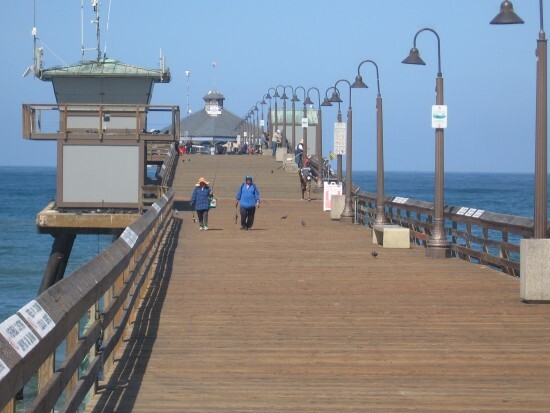 Come stroll with me toward the pier and let’s see what’s going on! Colorful surfboard arches frame a pier visitor. 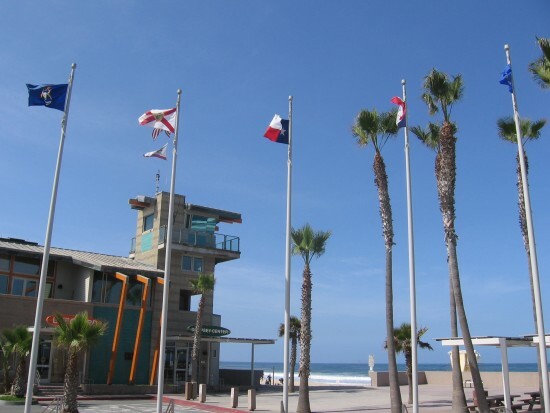 Lifeguard tower behind palm trees and flags. Benches near the pier are made of surfboards! Imperial Beach pier beckons from the sand. A few people on the beach on a spring weekday morning. Looking down the length of the Imperial Beach pier. 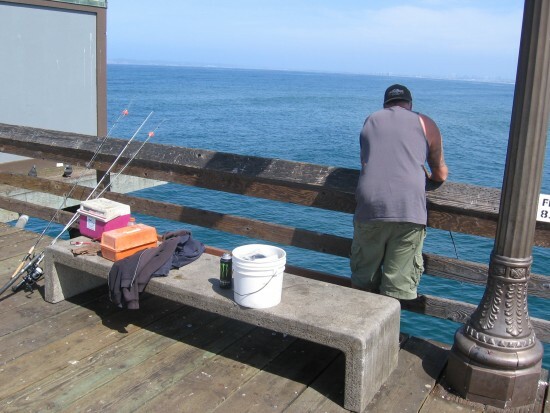 Fisherman cuts bait at one of the public sinks. I have a box of old tools to go through . I describe each item and photograph it from different angles and then hit the keyboard and enter it all in the database . It’s not the most exciting kind of work to do . Sometimes the challenge is to describe the item in accurate detail . I come and go when I want . No stress . No deadlines . No office politics . I thought that I had finished the tool collection but the museum curator brought out another box . The local Historical Society had left them here some time ago . So , on we go . Some ideas hit me a little bit late . Once every so often I suddenly get a concise and comprehensive insight on an event . Often , it seemed ,the insight arrived in the middle of the night like a night stalking burglar . The moribund bulb one way or another brightly lights up . Years late , sometimes . But still . Lately I’ve been pondering what college I should have gone to . I had an uncle at the time all those many years ago who lived in San Diego . My dad suggested that maybe I attend University of California at San Diego . I could live with my Uncle John and Aunt Ann . They had a plain little house in a shapeless S.D. neighborhood . Their house was amazingly similar to Ada’s and my plain little house in our non-chic neighborhood . No way did I want to do that at the time . But , maybe it would have been a good idea , I think now . Wow , how my life would have gone other places ! If I had been wiser then I would have realized that the experience might well have been a wonderful one for me . The thin threads of my life’s weave would have been woven together differently , would have made an other cloth ; not the one that is now . I sit here wondering , at the keyboard , pondering possibilities , the missed opportunities , the wisdom of the choice . Where would I be otherwise ? Where would any of us be ? A silly question , a useless quest . I don’t regret . I just wonder . Why do I think of that past passed decision now so many years removed from it ? I wonder about that too . The answers will come to me . One of these years .